O duo britânico Jane e Andrew, ou, Dreams of Empire para os iniciados, tem, não com o Dreams of Empire, mas ambos uma trajetória que vem desde os 90´s. No currículo, colaboraram com o mestre Kramer, além de terem tocado no Luminous. Um belo dia Andrew acordou com uma ideia, se inspirando em seus anos de adolescente e a efervescência gaze da época e assim surgiu o Dreams of Empire. Sonoramente é algo como se as Shangri-las fossem uma banda shoegaze, ou se Debbie Harry enveredasse pelos ares do dreampop. Tudo suave e cintilantemente concebido para embalar sonhos. Assim é a belíssima, "Shinny Dipping", segundo single deles. A promessa é que uma série de singles venham em breve, e se depender da beleza de "Shinny Dipping", o amor e a beleza vencerão. I literally woke up one day and said to Jane, “hey let’s start a band again". I was so inspired by the new music coming from bands I loved in my teens like Ride and Slowdive. Jane thought I was crazy. It was quite a while since we last performed together, in Luminous a band which made a record with Galaxie 500 producer and Shimmy Disc legend Kramer in the 90s before vanishing into obscurity. So I wrote a bunch of songs over the summer and we agreed it was a good thing to do. Hmm, lots of influences, but we don’t really sound like any of them! You’ll hear guitars influenced by Dean Wareham (Luna, Galaxie 500), Johnny Marr (The Smiths) and Andy Bell (Ride). Our vocal sound is pretty unique. We love an angst laden harmony and moody female led bands like Drugstore, Mazzy Star and PJ Harvey. We know from the past that playing live is special, exhilarating and usually ends with carrying heavy boxes up stairs. We’re really hoping to play our first Dreams of Empire shows this year, ideally somewhere small and dark where we can make a lot of noise. Q. How do you describe Dreams of Empire´s sounds? Luscious female vocals drenched in reverb and layered with gorgeous harmonies, surrounded by car crash guitar mayhem. 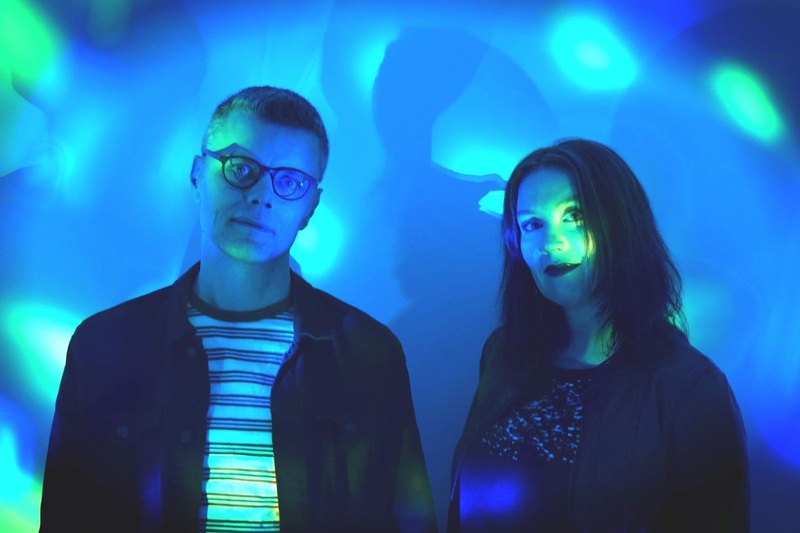 It’s sort ofshoegaze, it’s sort of dreampop but it’s something else too, but we haven’t worked out what. Everything is homemade, in our attic. We love recording at home. We’ll lay down 3 or 4 guitar lines, add the vocals and then add too many extra guitar tracks and too much reverb. It then takes us forever to get the sound just how we want it - it’s hard to resist the temptation to keep mixing it. Seems like anything out of Melbourne is worth listening to right now. The Stroppies are very cool and we’re obsessed with Lowtide. We’re hoping to catch some of these bands at the Great Escape festival in Brighton in May. Right now we’re trying to finish recording and mixing a bunch of new songs. There’s some really dreamy stuff as well as the more driving indiepop of our first singles. Self publishing is really tough so we’re looking for people to help us put an album out. We will definitely play live this year, maybe just in Brighton, maybe further away... we’re open to invitations. Can we get some more reverb on that?